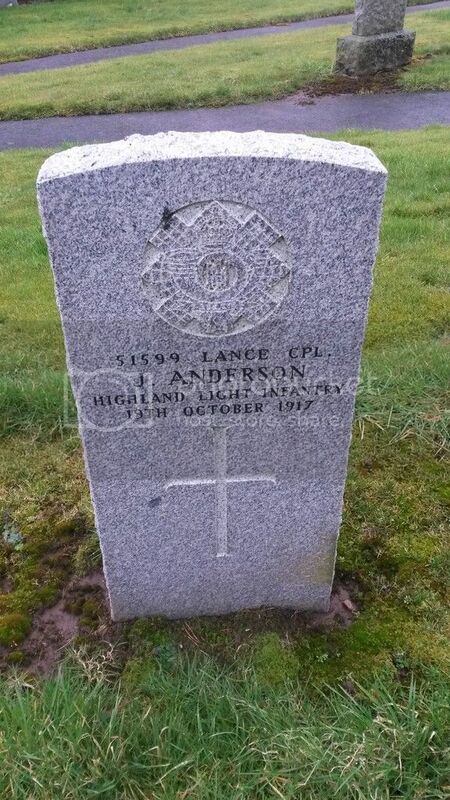 There are 15 CWGC headstones and numerous family gravestones with personnel listed. 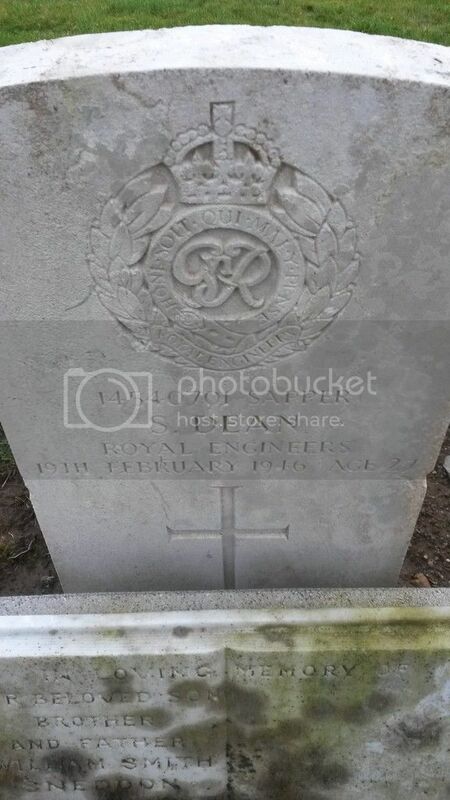 Regiment/Service: Royal Scots Fusiliers11th Bn. 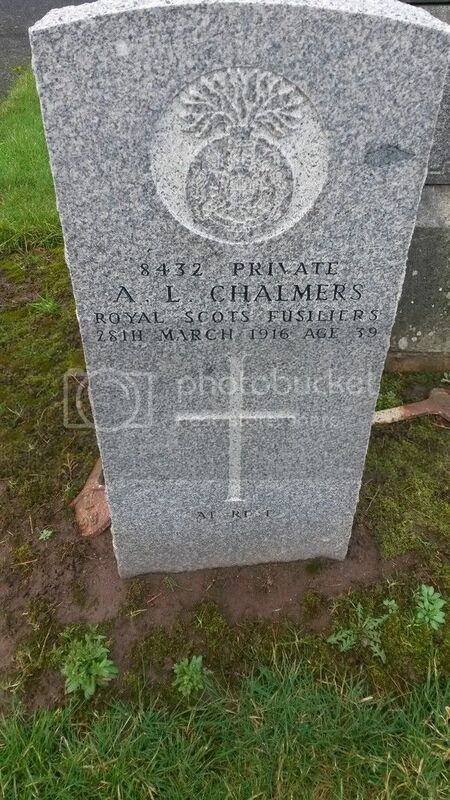 Additional Information: Husband of Jeanie Lennox Chalmers, of Smith Place, Newmilns, Ayrshire. Grave Reference: New Part. Sec. B. Grave 213. 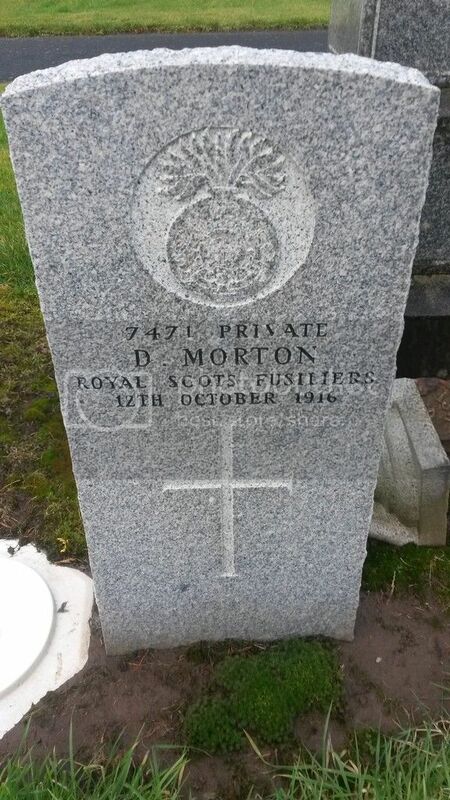 Additional Information: Son of Samuel and Martha Storrie Dean. 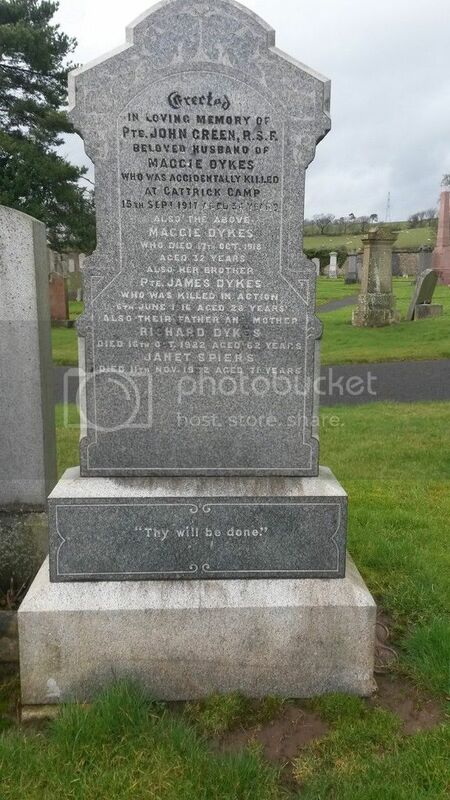 Husband of Janet Dean, of Newmilns. Grave Reference: New Part. Sec. B. Grave 385-386. 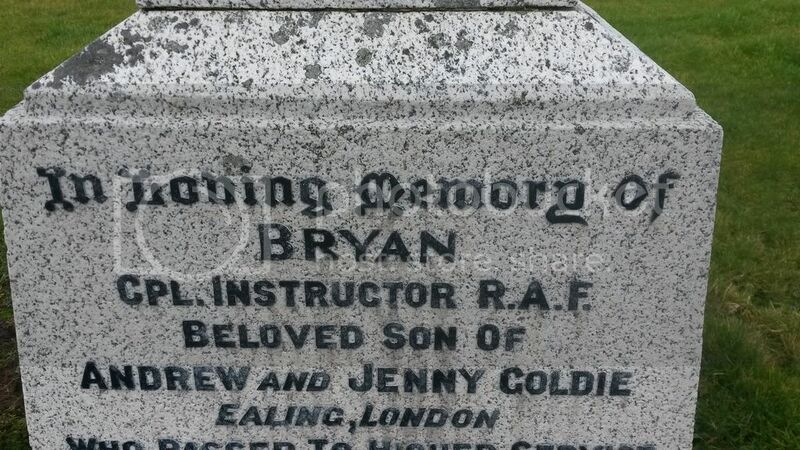 Additional Information: Son of Andrew and Jenny Steel Goldie, of Ealing, Middlesex. Additional Information: Born in Paisley, Renfrewshire. Son of Peter Green, of Glen St., Paisley. 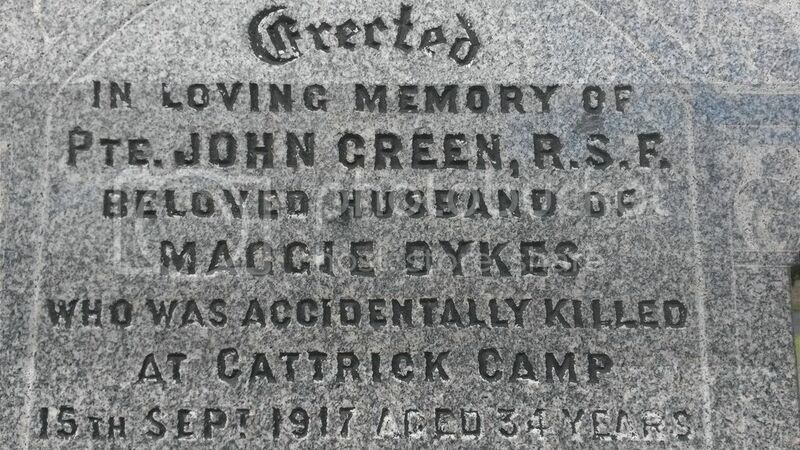 Husband of Maggie Dykes Green. 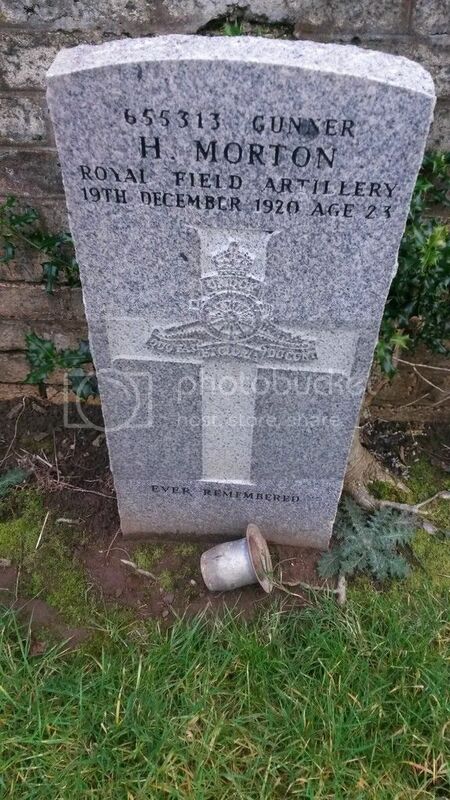 Regiment/Service: Royal Field Artillery"A" Bty. 28th Bde. 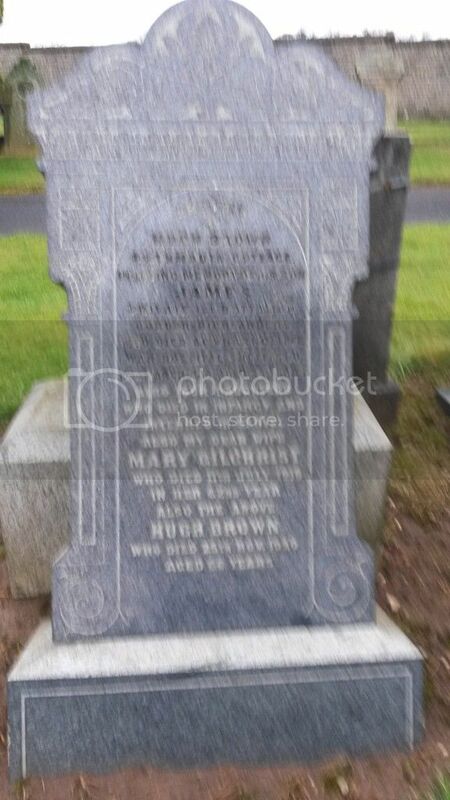 Husband of Margaret Marshall Mann (formerly Mitchell), of 7, Brown St., Newmilns, Ayrshire. Regiment/Service: Royal Scots Fusiliers"C" Coy. 1st/4th Bn. 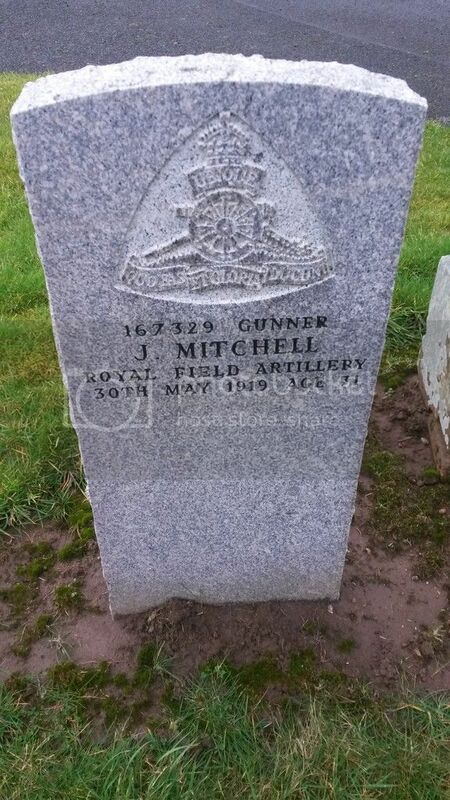 Additional Information: Son of Archibald and Ann Morton, of 60, Jamieson Terrace, Newmilns, Ayrshire. 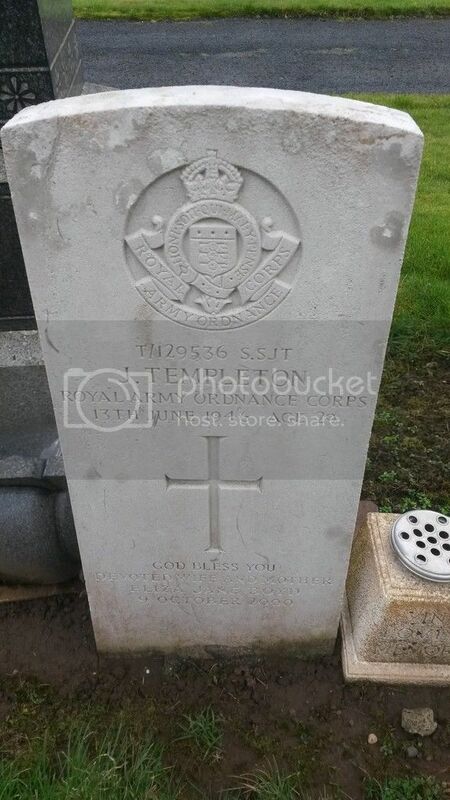 Regiment/Service: Royal Scots Fusiliers 3rd/4th Bn. Regiment/Service: Royal Field Artillery "A" Bty. 261st Bde. 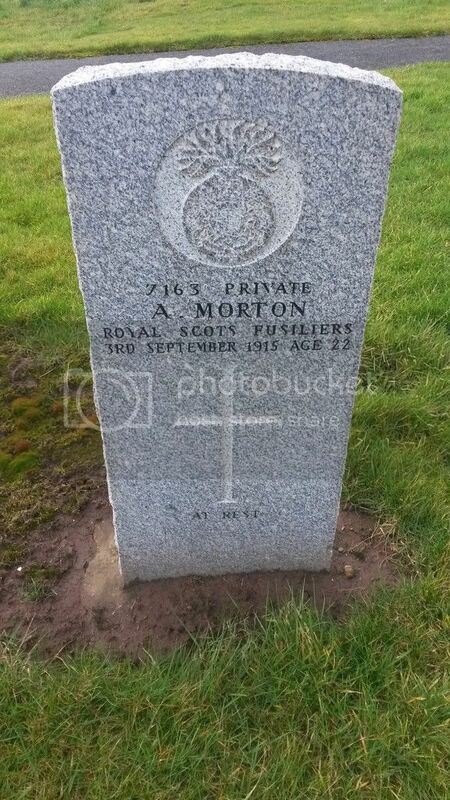 Additional Information: Son of Alexander and Elizabeth Morton, of 6, High St., Newmilns, Ayrshire. Grave Reference: New Part. Sec. B. Grave 102. 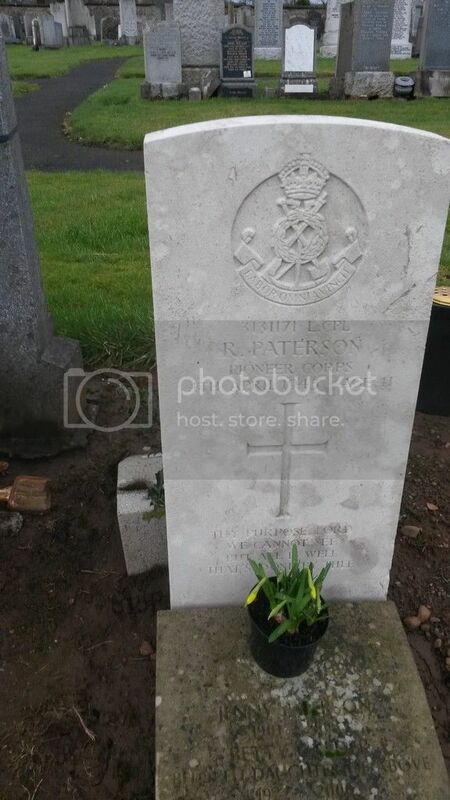 Additional Information: Son of Robert and Beatrice Paterson. Grave Reference: New Part. Sec. A. Grave 192. Additional Information: Son of G. Poli and Rosina Poli. 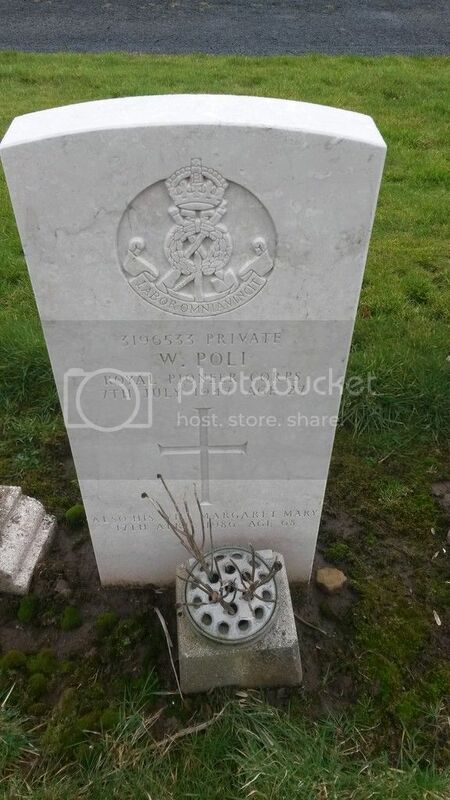 Husband of Margaret Mary Poli, of Newmilns, Ayrshire. Grave Reference: New Part. Sec. C. Grave 324. 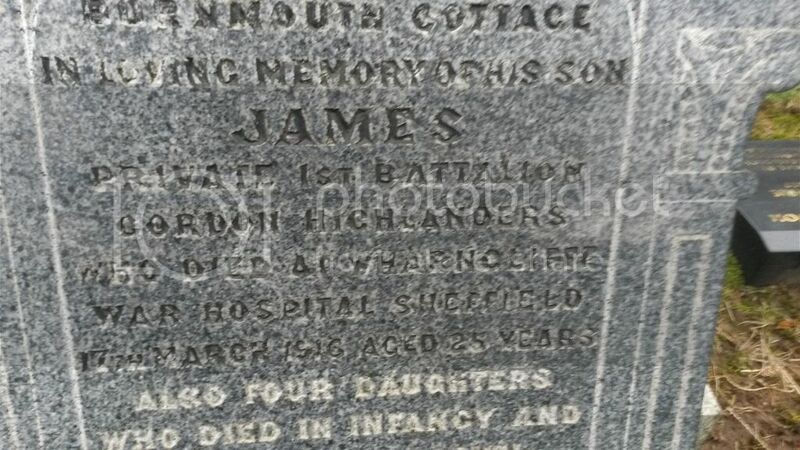 Additional Information: Son of Thomas and Martha Slimmon. 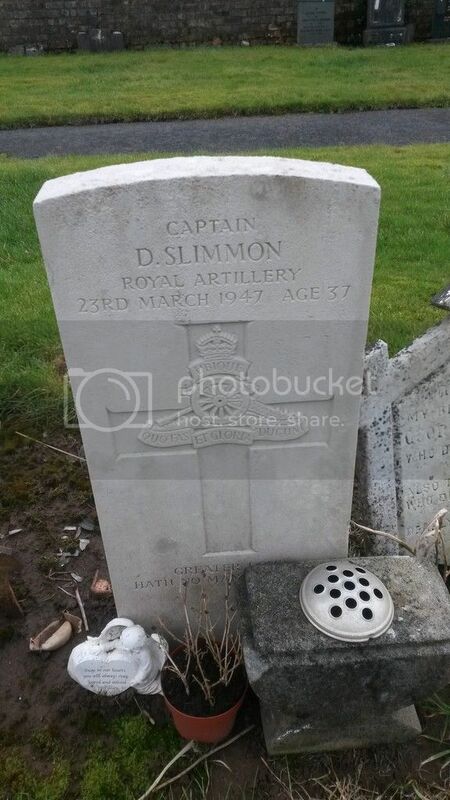 Husband of Amy Slimmon, of Boldon Colliery, Co. Durham, England. Grave Reference: New Part. Sec. A. Grave 188. 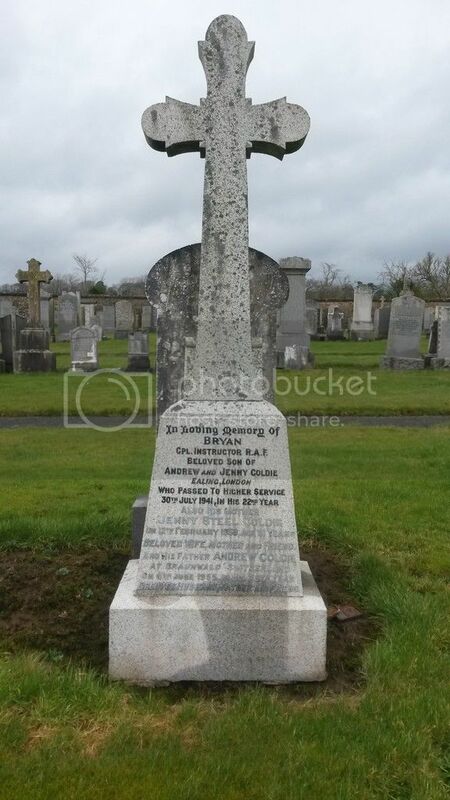 Additional Information: Son of John and Helen Templeton. Husband of Eliza Jane Templeton, of Catrine, Ayrshire.